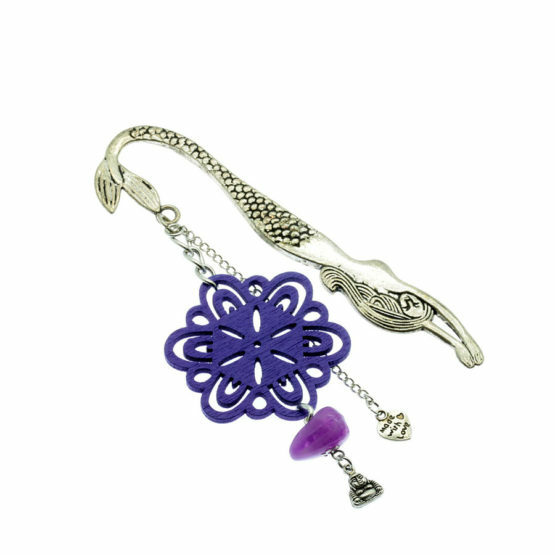 Silver tone metallic bookmark, with textured structure in mermaid shape, made with silver tone chain, stone and wood beads in shades of purple. The main pendant is a silver tone metallic Buddha. Thin chain with silver heart pendant "made with love".